We do scones and cake brilliantly in Cornwall don’t we? 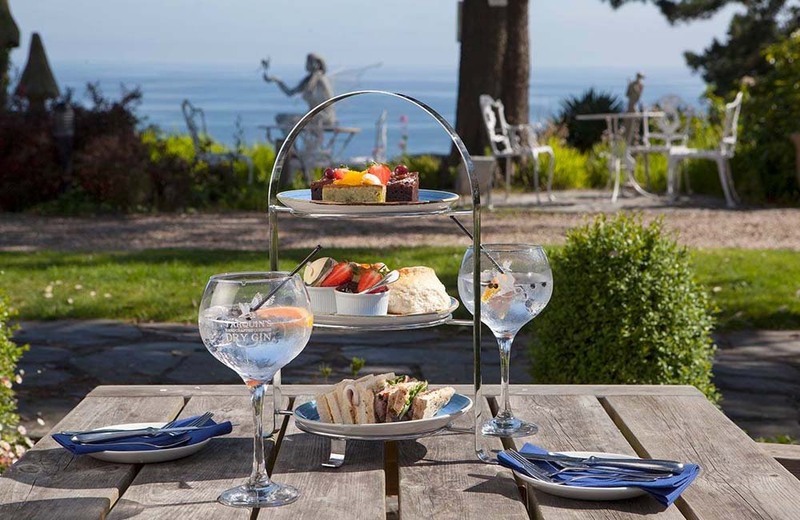 From ocean-view hotels with glam tiers of treats, to classic cream teas served on rustic picnic tables – you don’t have to travel far to find a corking afternoon tea around here. I have my favourites (see Muddy faves below) but in the interest of serious journalism, I wanted to snaffle out some lesser-known spots too. So I turned to Cornwall’s Instagrammers for ideas and between us, here’s what we came up with. Do you see your favourite? If not, go ahead and add it in the comments. Cream teas at Cotehele are served at the Edgcumbe Tea Rooms (where dogs are welcome), beside Cotehele Quay on the banks of the Tamar. This recommendation comes from @thisissallybell, who says “Cotehele is my go-to for a cream tea; they do a great cheese version and the gluten-free scones are to die for.” She adds, “wait until they’ve decorated it with daffodils (they create all sorts of clever installations) – usually in the next few weeks – then go, you’ll be in for a treat!” Cotehele’s Daffodil Weekend is Sat 17-18 Mar and the current cream tea special includes cranberry-orange scones, served with passion fruit curd and clotted cream. The next one comes courtesy of fellow blogger Rachel of The Little Pip. Plumping for this traditional tea room at the start (or end) of the stunning Bedruthan Steps walk, she says, “My favourite afternoon tea is at the distinctly low-fi tea room at Carnewas at Bedruthan Steps – better than any of the big hotels I’ve been to.” A big claim, firmly backed up by the gushing cream tea reviews on their Facebook page. I’m there! Where better to take your time over tea than a rustic, fairy-tale café in the woods? 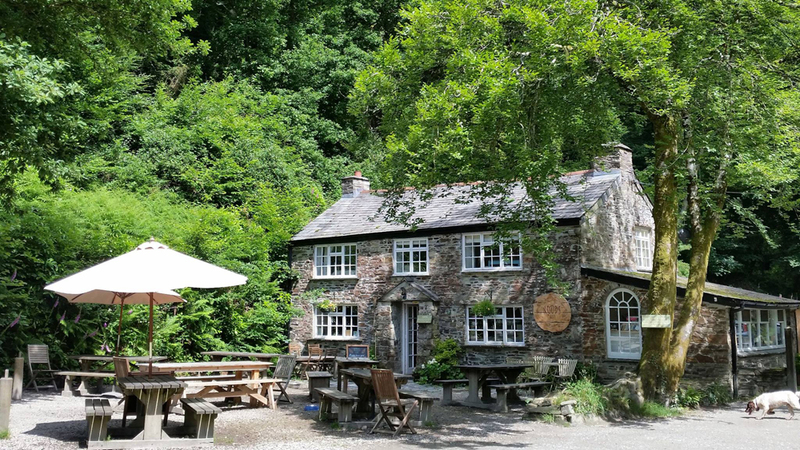 Woods Café, in Cardinham Woods, near Bodmin, is my scone-scoffing destination of choice and perfect, for those with kids and dogs in tow. There are beautiful woodland walks if you feel the need to earn your treats or you can make a beeline straight for the café’s impressive cake counter. 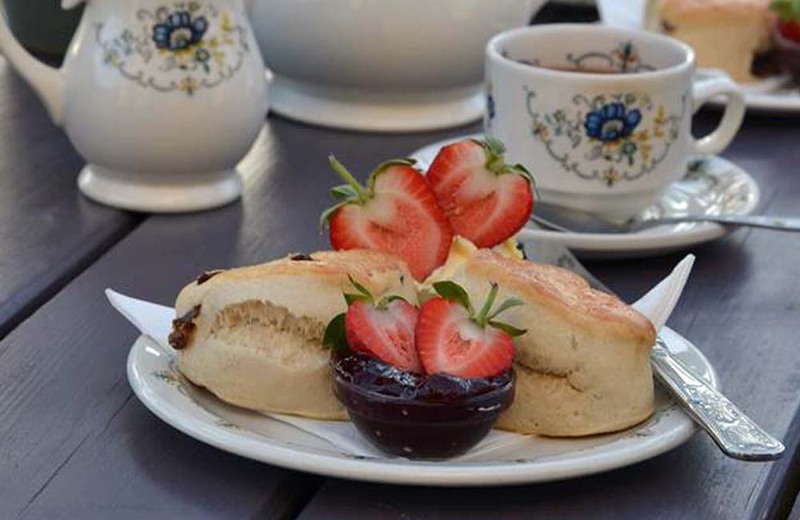 In addition to a proper Cornish Cream Tea, with plenty of jam and cream and a pot of Tregothnan’s finest, there is a savoury option with cheese scones, cream cheese, chutney and Davidstow cheddar. Cornish Cream Tea £6.75/ Savoury Cream Tea £7.25. How cute is this strawberry cream tea, with heart-shaped scones and piles of fresh strawberries? 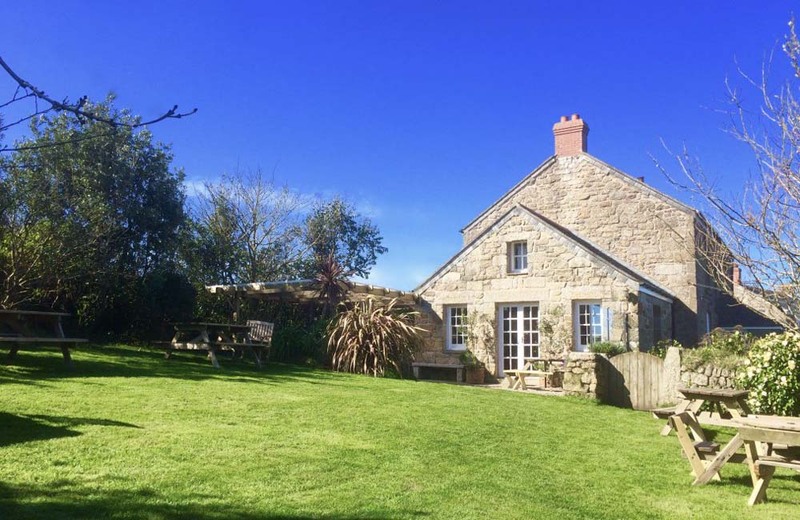 Served at Berryfield’s Farm, a popular family campsite between Newquay and Padstow on Cornwall’s north coast, this one was recommended by eco-jeweller Sarah Drew. And clearly she’s not the only devotee – do a quick Google image search and you’ll see all the pictures people have snapped of their cream teas here. Porthcothan Bay, not far away, is a sheltered beach backed by grassy sand dunes, popular with families and dog-owners and best at low tide. (Currently closed for winter). 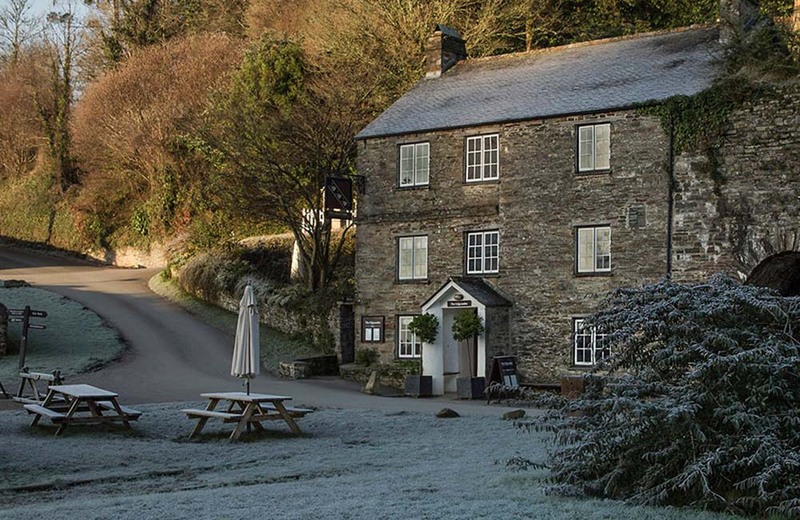 Another top tip from Muddy readers is the cafe at Duchy of Cornwall Nursery, with views down to Fowey and Restormel Castle. 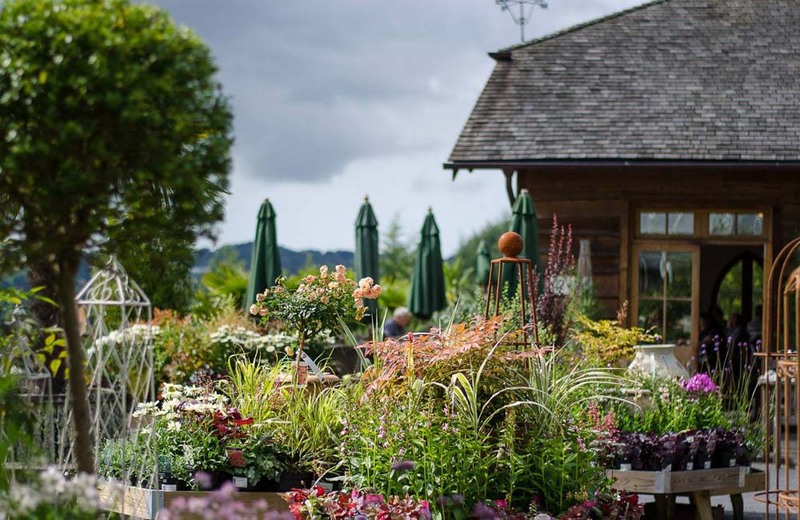 It’s is one of the largest and most well-respected nurseries in the South West and a perfect place to come for a few special plants in the spring time. 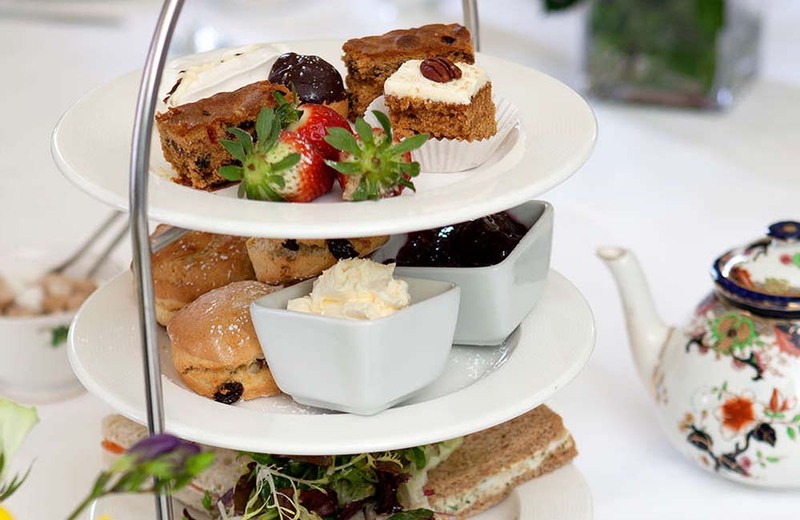 Cream tea (£5.95) is a speciality at the cafe or choose, the fancier afternoon tea for a special occasion, with optional prosecco or warm winter Pimms (£19.95). One of the most intriguing suggestions I had will be a bit of a pilgrimage for most – but I’m reliably informed it is well worth the journey. A cream tea garden on a farm, overlooking the ocean, just off the road from St Ives to St Just. 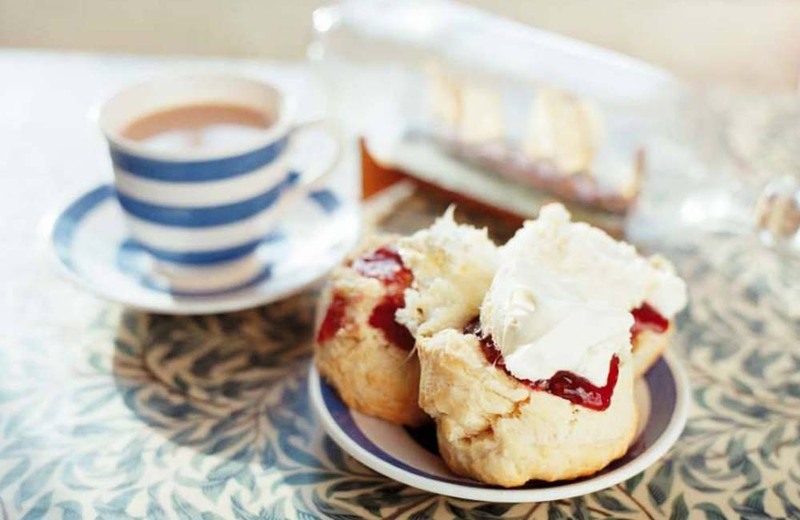 For just £5 you will be treated to a pot of tea, warm scones, fresh from the aga, Cornish clotted cream, strawberry jam and a West Penwith location that’s hard to beat. Currently closed for winter – this is a treat to look forward to in spring (they reopened in late March last year). 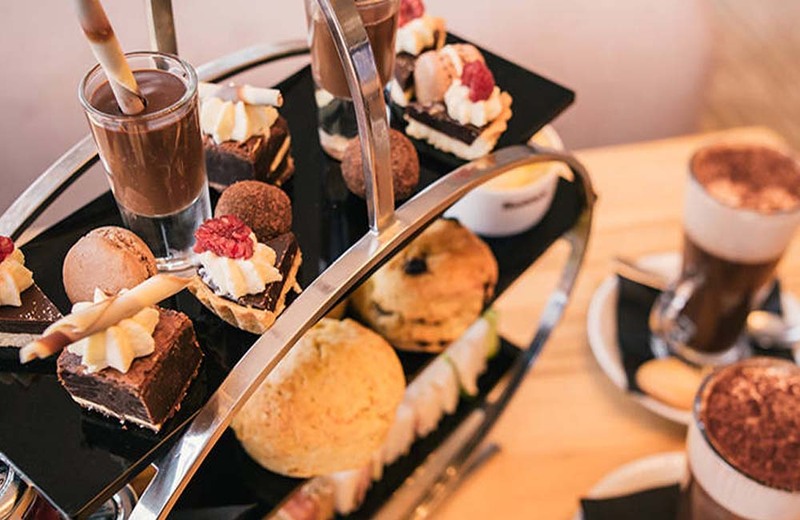 If you fancy escaping the kids and washing down beautiful little cakes with a glass of fizz, you can’t beat Champagne Tea at luxe, eco hotel The Scarlet. Grab a ocean-view table in the restaurant or out on the terrace and take your time over delicately prepared morsels, such as smoked salmon, cream cheese and chive choux buns, lemon curd and rhubarb tartlets and of course, warm scones with jam and Cornish clotted cream (in that order, it’s important). I don’t mind if I do! 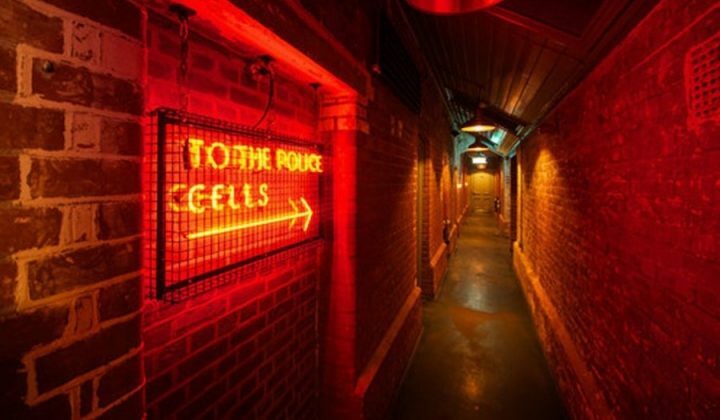 £37pp with Champagne/ £25 with tea. What could be more Cornish than scones overlooking the harbour in St Mawes? Idle Rocks takes its afternoon tea seriously, with pretty little plates of treats, silver tea pots and mini Kilner jars for the condiments. £25pp, or upgrade to a glass of fizz for £35 or cocktail (the perfect match for those mini macaroons) for £37. I think The Greenbank Hotel wins the prize for the widest choice of afternoon teas. There’s The Traditional (straight up scones, jam and cream), Greenbank Afternoon Tea (add further tiers of sandwiches and cakes), Children’s Tea (scones, ham sarnie, brownie and hot chocolate), Chocoholics Afternoon Tea (choc chip scones, eclairs and brownies galore), Champagne Tea (The Greenbank, plus fizz) and Gentleman’s Picnic Tea (cheese and bacon scones, scotch eggs, pickled onions etc). Heartily recommended by Ashley (@hibster81) and now firmly on my must-try list! Why we haven’t done this yet, I cannot imagine! 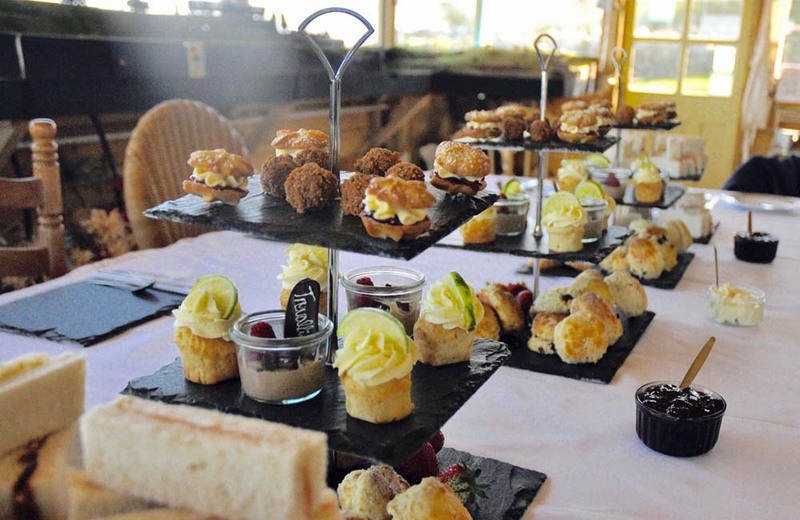 Thank you @dartpr for the heads up on this ravishing G and High Tea at Talland Bay Hotel. As if an icy Tarquin’s gin and tonic wasn’t enough, you’ll nibble on finger sandwiches, scones, jam and cream and homemade cakes. 100% Cornish deliciousness. Always a winner when we have guests of all ages. 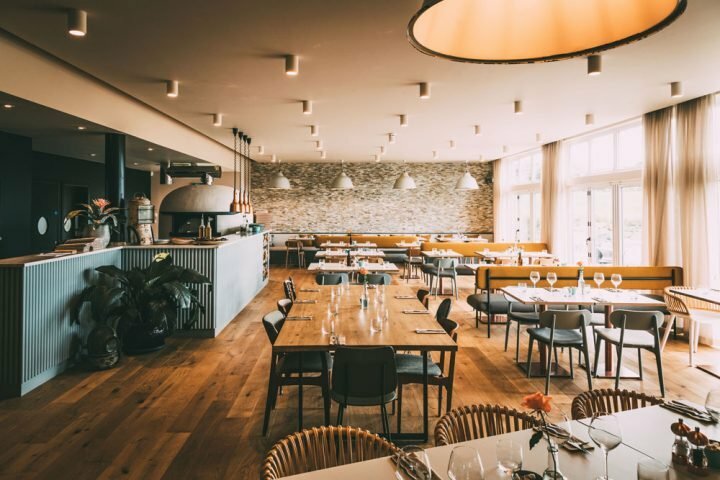 You can have a good walk on Fistral Beach first, then swan up to the Headland’s Terrace Restaurant for afternoon tea with a sensational surf-side view. 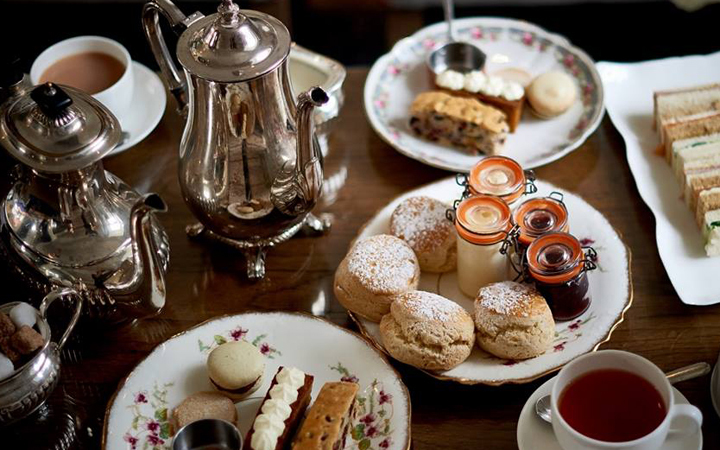 Their traditional afternoon tea comes with all the bells and whistles and is one of the more affordable of the fancy hotel options, at £18.50. Then if you have a special celebration in mind (birthday, hen or baby shower), how lovely does this sound? A Vintage Tea Party in a one of the hotel’s glamorous private lounges, complete with overflowing cake stands, pretty mismatched crockery and vintage silverware. Add a visit to the spa for a dreamy girls day out. How to improve on a lush afternoon tea (I mean look at it)? Add gin of course! Thank you Amy (@amzelizabeth89) for bringing this little gem to my attention. Trevallicks G & Teas include a gorgeous stack of sarnies, scones and cakes as well as – not one but four – Cornish gins to sample. For £25pp you really can’t say fairer than that. Hic! Almost every time I’ve been to Lusty Glaze (The Sunday Times’ Beach of the Year 2017) for a walk and coffee in the day, I’ve seen lovely long tables laid out for various celebrations. And it’s the ideal place to gather with friends. 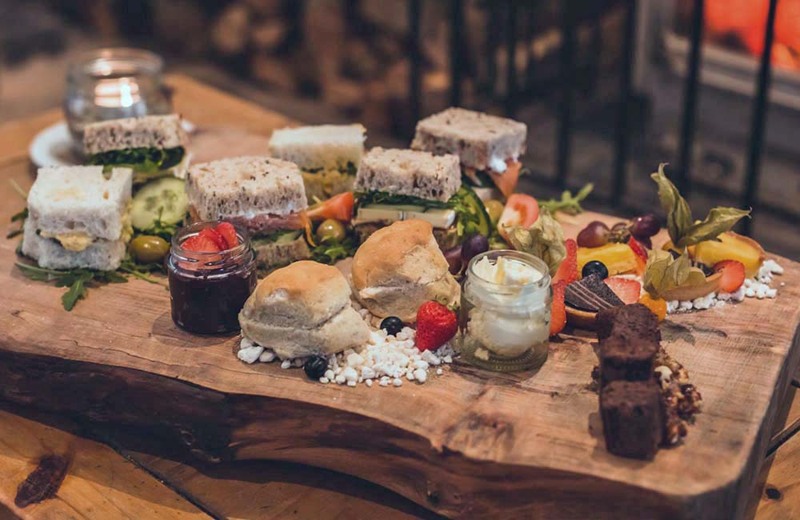 You can soak up some rays in summer or watch the waves from a cosy spot by the fire in winter and I just love the rustic sharing boards they serve their teas on. 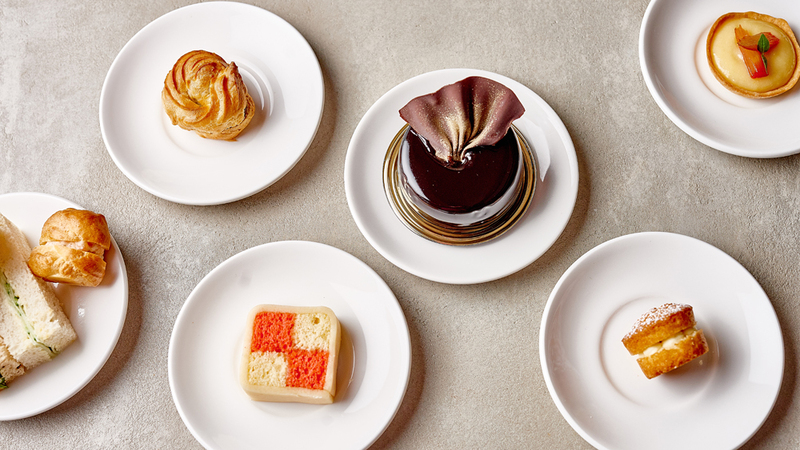 Unique for its cool, quirky vibe and the total absence of scones, Bone China dubs itself a ‘vintage eatery and boozery’. 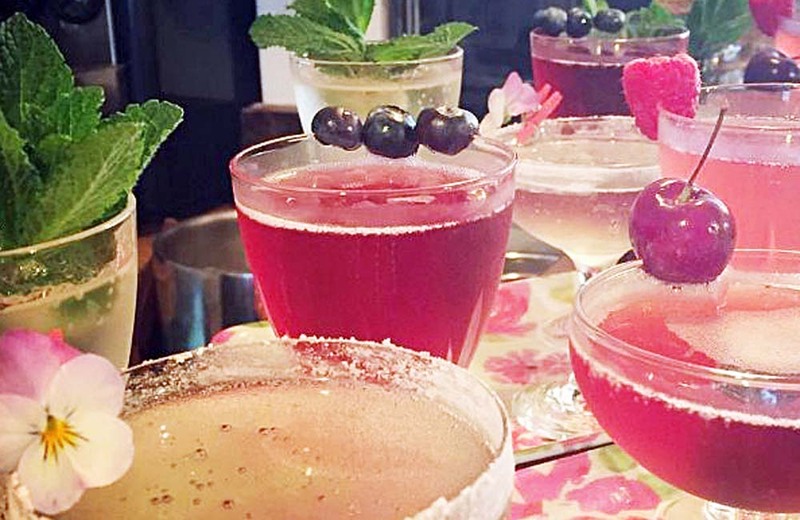 Sip pretty cocktails and indulge in a Mad Hatters high tea (£35 for two sharing), which includes Tapas-style nibbles followed by possets, jellies and macaroons galore. 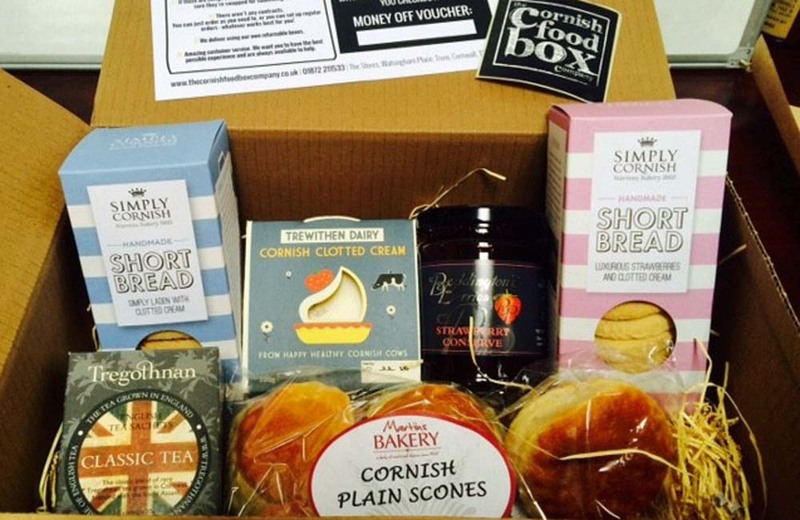 Finally, if your Mum’s unfortunate enough not to live in Cornwall or be visiting this Mother’s Day, you can always send her a proper cream tea via The Cornish Food Box Company. £25 for homemade scones, clotted cream, Boddingtons jam, Tregothnan tea and two packs of shortbread – delivered! What about Snails Pace Cafe. 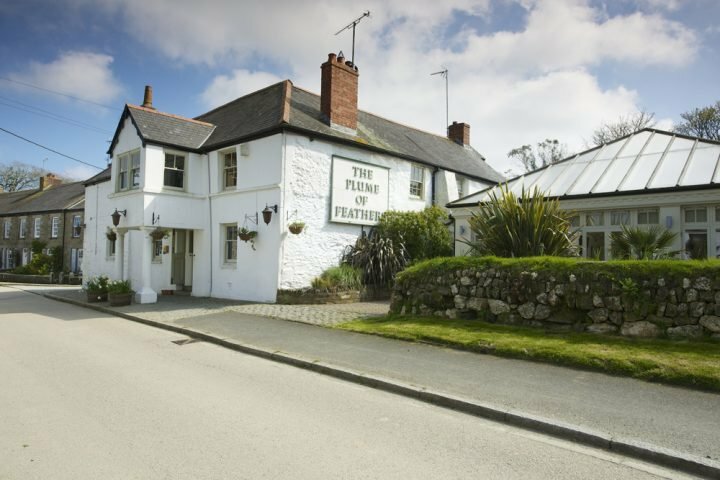 Def the best Cream Tea in Cornwall, if not the world. Thanks Teddy – I still haven’t made it to Snail’s Pace, despite them getting loads of votes in last year’s awards, so shame on me. This recommendation is great motivation… are they open in winter? Please come visit us at Meudon hotel amazing gardens fabulous beach and the cream teas not bad either! What about The Nare hotel on the Roseland? One of the best afternoon teas ever and a cracking view whether you are inside or out! !